The kitchen is the hub of your home. Meals are cooked, families gather, and memories are made. If you’re considering new kitchen flooring and tile installation, you have a lot of choices. Before you decide what you want, there are many things to consider including cost, comfort, durability, your sense of style and lifestyle. The professionals at Art Z can help you choose from the top selection of flooring and tile and provide you with long-lasting, quality installation. Laminate flooring is not what it used to be! This flooring can be made to look like hardwood or tile, but is lower cost than both those options. Laminate is durable, resistant to scratches and spills, and is an excellent choice for a home with children, pets, or heavy traffic. Cleaning is easy; simply wipe up spills with a cloth, sweep, vacuum and dust. No waxing or sanding! Laminate flooring that mimics wood comes in a variety of colors and the texture can even appear to be distressed, as is ever popular with real hardwood. Laminate that resembles tile looks authentic with a range of neutral colors. Hardwood is a classic and timeless look with nearly endless choices in color and finish. Hardwood flooring comes in colors from light blond to black, many species including oak, maple, cherry, and walnut, and there are a variety of finishes including timeworn and distressed. The possibilities for your kitchen are endless. You do need to take special care to clean up spills immediately and be careful of pet paws and wearing high (you don’t want any scratches). One of the best things about hardwood is it never goes out of style! Linoleum has many great features including its affordability, durability, ease of cleaning, and wide range of color choices. Linoleum is also antibacterial, making it the most hygienic kitchen flooring choice. Its sturdiness is great for busy families. Linoleum also comes in nearly every color as well as many patterns, so your creativity and design possibilities are limitless. You do need to be mindful of direct sunlight, as oxidization can occur and cause a yellow cast on the flooring. Clean up is easy: simply sweep and dust regularly and mop with a ph-neutral cleanser. Vinyl is affordable, versatile, resilient, and comfortable to stand on, which makes it an excellent kitchen flooring choice. While vinyl flooring has been around for a long time, today’s designs are fresh and stylish. You can choose from patterns resembling stone, tile, or hardwood. Tile is the toughest of all kitchen flooring. This means it can withstand just about anything, but for all you cooks out there, standing on it for long periods of time can possibly become uncomfortable. Because it is so strong, dropped dishes can easily break on impact. 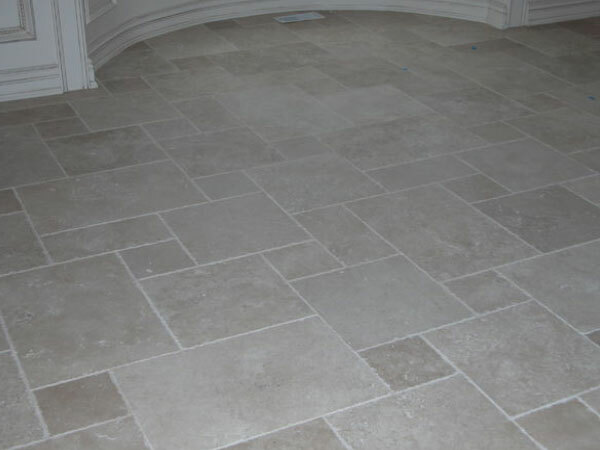 Tile flooring, when properly sealed by professionals like Art Z technicians, holds up against kids, pets, and spills. A simple backsplash can not only update and improve the look of your kitchen; it also allows you to personalize your space. Choose from a variety of colors and even consider a pattern to really add some flare. The professionals at Art Z can help you design something you love that also adds value to your home. The kitchen backsplash is your kitchen’s sweet spot. It’s a small, yet important, area that if carefully designed, can bring uniqueness, practicality, and a personal touch to your kitchen. There is less freedom in designing cabinets and countertops than there is for the backsplash area. This gives you more room to be creative to personalize your kitchen and give it is unique look and atmosphere. If you are looking to renovate your kitchen or add a nice, unique touch, then new kitchen backsplash can be an ideal low maintenance solution. 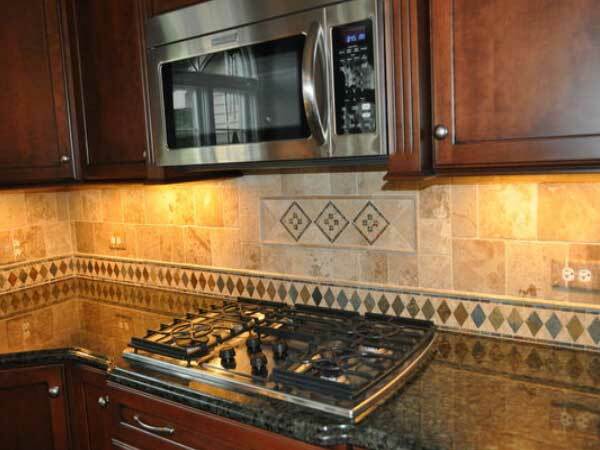 Typically, a standard backsplash covers about 30 to 50 sq. ft., which is a relatively small area to re-design. However, when completed, it can really add a lot of charm to your kitchen. Depending on your personality, you can use the backsplash area with an eye on practicality, an eye on look or both! A great way to personalize your backsplash is with a hand-painted murals. This is probably the most flexible option when it comes to personalizing your kitchen. You start out with a blank sheet and you end up with whatever your imagination can bring. 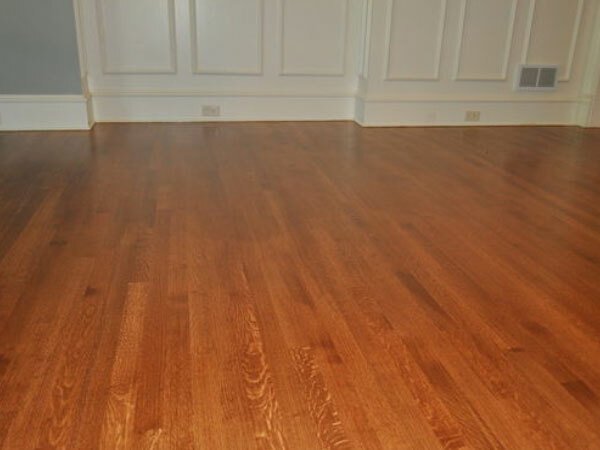 Art Z is a leader in floor installation in the St. Charles, Illinois, and Chicagoland area. We pride ourselves on providing the highest quality of work and giving our customers personal attention. Contact us online or call (630) 677-1371 to discuss selecting the right flooring for your needs.